Driving in BC from People's Law School is for newcomers and new drivers in British Columbia. 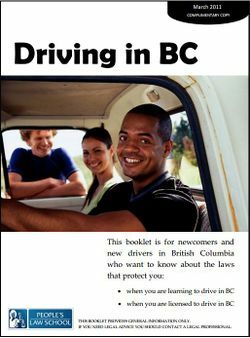 It explains the laws relating to getting a driver's licence and driving a car in BC. Learn more about Clicklaw Wikibooks or visit other wikibooks from People's Law School. This page was last edited on 3 June 2015, at 13:53.